Major Nelson was rolling yesterday on Twitter, firing off tweets about all kinds of stuff Xbox including the Oct Game Pass titles. 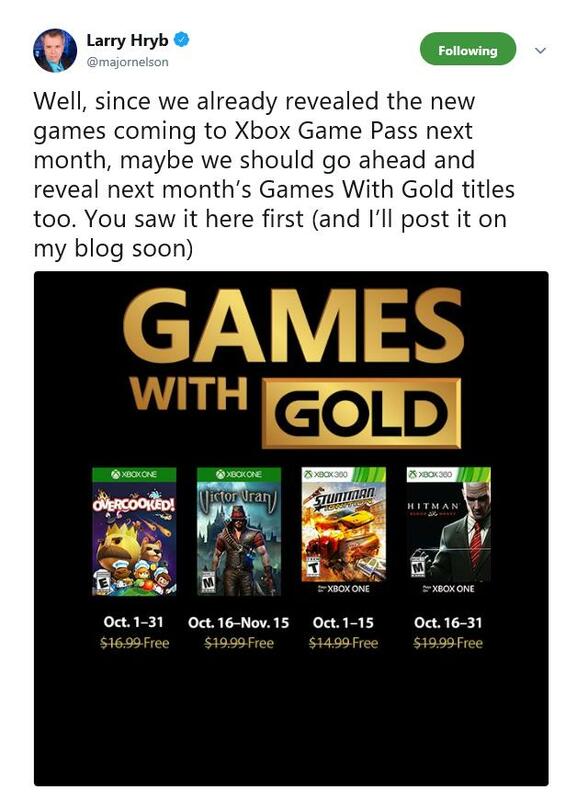 At one point, he basically said, the heck with it, and announced early what the Oct Games with Gold free titles would be for Xbox Gold subscribers. While it isn't an overly impressive bunch, but offers a handful of titles that many people probably haven't played before. Check out the Major's tweet for the title, platform and date range that it will be available.